Spider Silk. 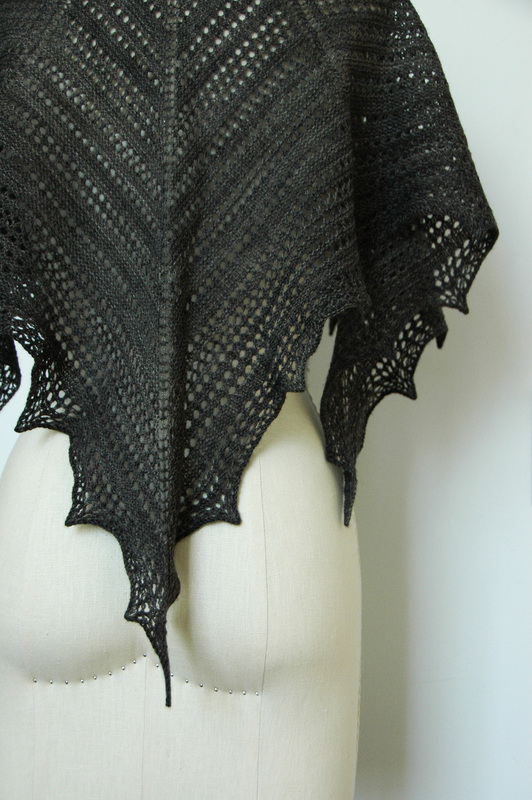 I’ll probably switch out some of the photos in the pattern for some of these because I think these show the details of the shawl much better. The fabric is light and airy because it’s knit in a lace weight, but at the same time it’s cushy and soft due to the garter stitch. 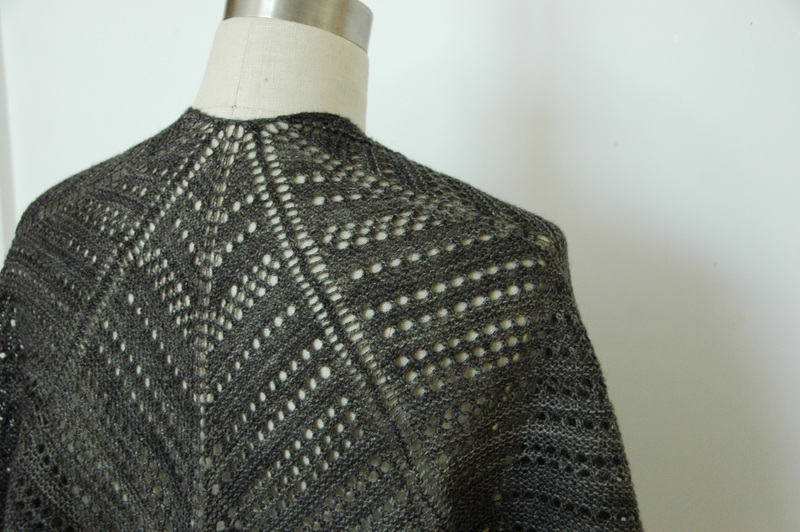 It’s very simple to knit, since I designed and knit it at a time when everything was kind of crazy, and I just needed something easy to work on. Something that I could pick up and put down without thinking about. 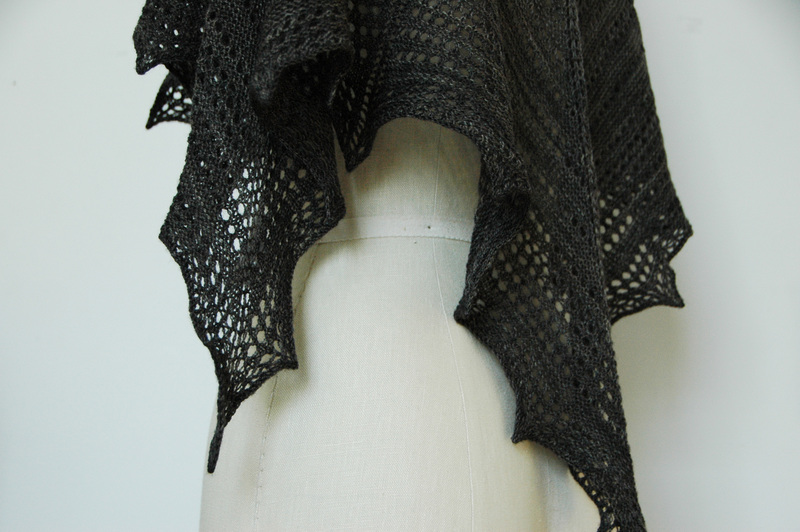 So as a more experienced knitter I found it to be great comfort knitting, but for a newer lace knitter it would also be a great introduction to knitting with lace weight yarn. Thanks! It’s not as complex as it looks (which is what I love about it), the most complicated stitch is a centered double decrease. 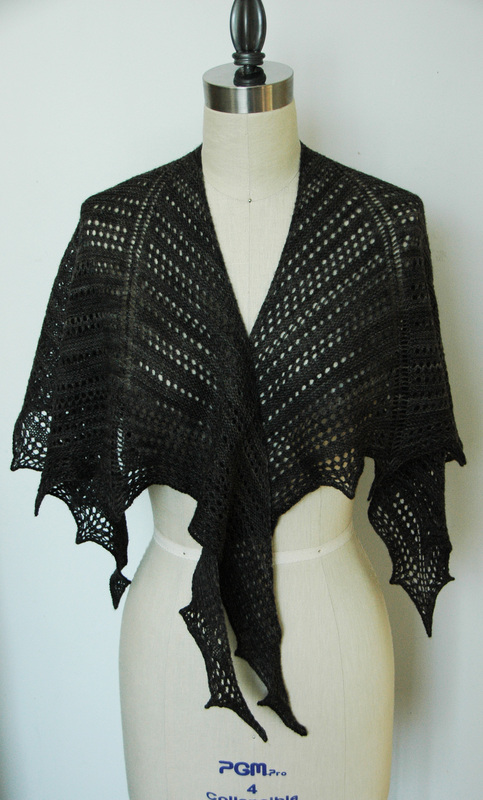 But the shape combined with the yarn and the lace create a complex looking shawl.